I went with the snails, but the memory of Rowan Atkinson as Mr Bean and the episode of the steak tartar meant I went for cooked version: and very good it was, too. A wonderful little Sydney restaurant, sadly closed now I believe, The Little Snail, served wonderful escargo, better than la place, where I’m sitting right now, within view (just) of the Eiffel Tower. But the steak was excellent. With the exchange rate at 70 Euro cents to the dollar, not bad value either: you be hard Pressed to eat in Sydney as well for the money. The Saint Emilion red wasn’t bad, but at $10 a glass it should have been good. It tasted like a shiraz to me. Shame they had the price wrong on the bill, overcharging €6 if I hadn’t noticed. Given I took the two course deal and not the three course charged for, i won’t fly off the handle. Don’t know where all the arrogant, insufferable Frenchies are yet: I haven’t met any. Damn, the price was right – sort of. The €18 price is only at lunch: the €24 price is dinner, but it includes dessert. So I’m having a creme brûlée I don’t need. It’s a busy place: after 10.30 and there’s a steady steam of people still coming in for coffee and drinks. The dinners have slowed, but there’s still a nice vibe to la place. Paris’ reputation for everyone smoking, walking a dog and making out under every lamppost is no longer true, if it every was. Smoking seems banned for anywhere indoors – which means I won’t be eating al fresco this trip – and I’ve hardly seen any dogs or making out – only one incident of each, as it turns out, but I suppose there’s still time. 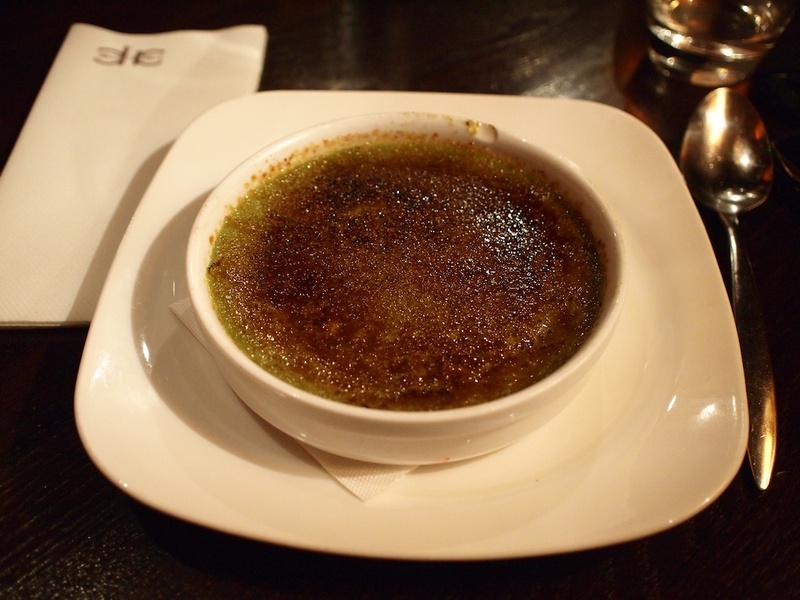 The pistacio brûlée sounds better than it really is: ok but not great. I don’t finish it heading off to the lightshow at the tower. Go to the Louvre for me, Nige. 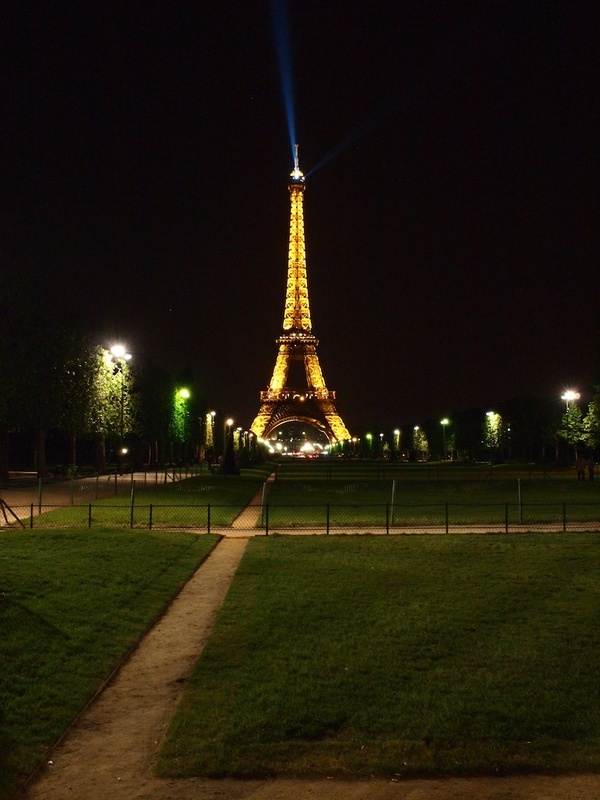 I didn’t get there on my one and ony trip to Paris. Have fun; we’re all jealous. I was planning on going to the Louvre, but I’m wondering if I should leave it for when Corinne is here. How was the bike. ie the purpose of the trip. PS I have been checking up on the penze and keeping him working. Never mind the bike! I’m on holidays. Actually, it is great – it will give the BMW an KTM a run for their money, especially on the road. Didn’t really do enough off road to know about that one. Re the Lourve – if it’s anything like the the Met in New York, you’ll need more than one visit! When will Corinne be there? Corinne’s been there. You could spend a week there and still not see everything. Previous Previous post: Is the Canon EOS 1D MkIV half-baked?